Alliance Francaise de Denver | 571 Galapago St.
Canada Colorado Association invites you to our September BCN (business casual networking) event. Get ready to connect with business professionals. NETWORKING WILL BE FROM 5:00 TO 7:00. This event will give you the chance to meet and mingle with business professionals from all industry sectors. This group of business people may originally be from Canada, may work for one of the many Canadian companies located right here in Colorado, or may just want to promote their business. Whatever the reason, join us after work for an evening of great business connections! 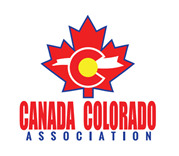 Our association promotes all things in common with Canada and Colorado, and “Business is Good”! He will be providing French wine, Quebec-brewed beer, and finger-food.